What kind of diva throws around liberal “f” bombs, flips the finger at an old boyfriend and dredges up an obscure country song from The Steeldrivers, all during her headlining debut at England’s prestigious Royal Albert Hall? Welcome to the Adele you probably didn’t expect to see. Sure, her riveting torch songs of heartbreak are here, performed with sincerity and requisite intensity for the sold out (in 30 minutes) hometown fans and captured in high def, multi-camera, surround audio perfection. But it’s the between song banter, much of it seemingly improvised, that tactfully knocks Adele off whatever pedestal her handlers might have once wanted, showing her as just one of the scarred but feisty girls, albeit one with better hair and makeup. A slightly less bawdy (and funny) Bette Midler. To further put a dent in your expectations, a short pre-show doc, in black and white, shows Adele in her bathrobe and curlers the morning of the gig. Even the usually unfettered Dolly Parton wouldn’t agree to that, let alone any official members of the diva club, to which Adele might once have been included. Musically, she’s in superb voice, either with just solo piano accompaniment as on the opening “Hometown Glory, ” a breathtaking version of Bonnie Raitt’s “I Can’t Make You Love Me,” and a stunning “Take It All,” or with full band, backing vocalists and a string section sawing away to add extra drama. All the hits are here in this stop-gap release to keep the Adele dollars flowing and her fans satiated before a new album, which likely won’t be until 2013. The staging, lighting and sound are pristine and while the high definition video is professionally shot, there are far too many quick cuts for this style of music. The cycle of Adele in close-up to a visual of the band, to one from the roof of the venue and finally of an enraptured audience member mouthing the lyrics is repeated so often it becomes cliché pretty quickly. Still, the star is in rollicking, strong voice and the closing “Rolling in the Deep” with the audience trading vocals is spine tingling entertainment sure to make believers out of those still on the Adele fence. 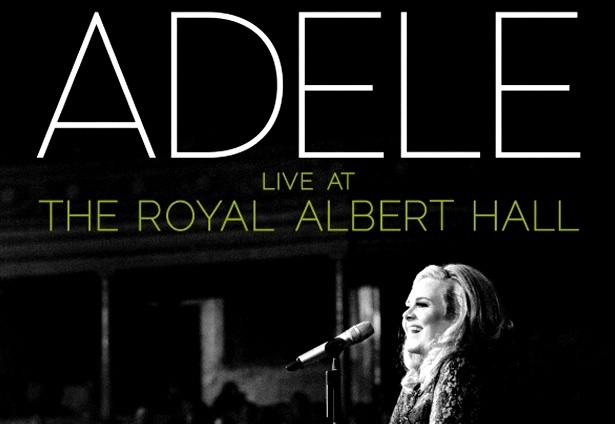 The CD chops out the voluminous chatter, which is one of the strengths of the 1 ¾ hour DVD, but works just fine for on-the-go playback of a dynamic concert that proves Adele has the talent, vision and the no BS personality to be a star for a very long time. Just don’t call her a diva.